Have wanted to convert from the regular sealed beam headlights for a while on the ol’ 6. Anyways, Ive done one side so far and I thought I’d show you guys. There is a lot more cutting that I originally thought to make them fit (these lights are huge in comparison). I think the outcome will be good though. 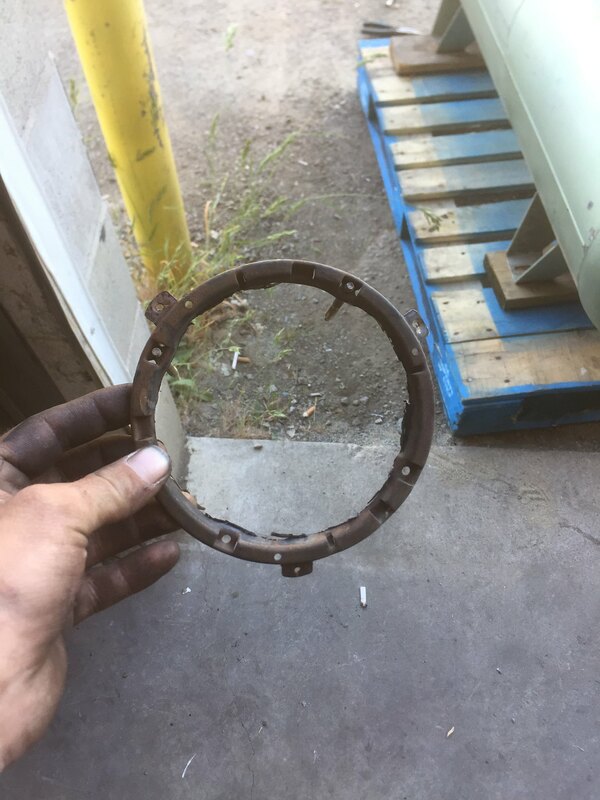 Ive heard of others saying they installed e30 ellipsoids in their E24s too with little cutting. When I do the other side I can show you how bad you have to molest the headlight bucket, if anyone’s interested. 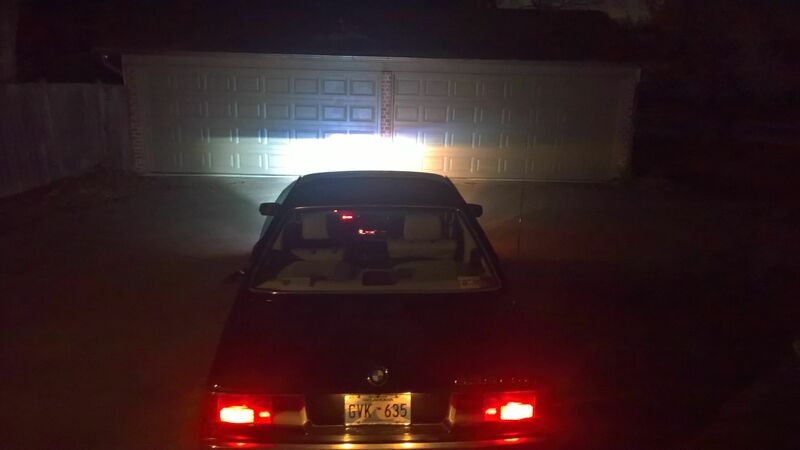 I'm interested, my car will get new headlights too and I am wondering if I can mount LED-filaments in the E30 smiley lights, this would imply shaping the outside of the lamp to fit into the shroud and maybe the glass would need to come off and be replaced with new. It sorta looks cool, but someone converted my M6 to ellipsoids. Nowhere near enough light compared to modern solutions, and fitting is a real bother. I don't think it is worth the effort, but let us know how you like your end result. Nigth shots of light patterns would be cool to see. 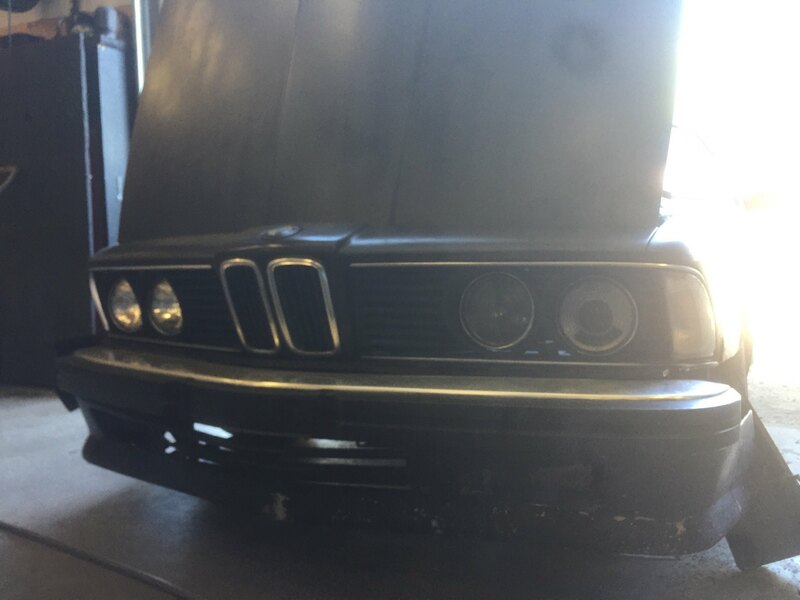 I am wondering if I can mount LED-filaments in the E30 smiley lights, this would imply shaping the outside of the lamp to fit into the shroud and maybe the glass would need to come off and be replaced with new. FWIW, granted I have ellipsoids, but I installed LED bulbs a while ago and didn't have to modify a thing. It might be different depending on which brand you get, but mine were drop-in and plug-and-play. This is the difference between the new LED and regular halogen. It's a massive improvement, and gives (I think) plenty of visibility. YMMV with them in sealed beams, though. Ellipsoids are cool, But I scooped these bad girls up for $150 so I couldn't say no. And didn't bother me much to cut it all up. 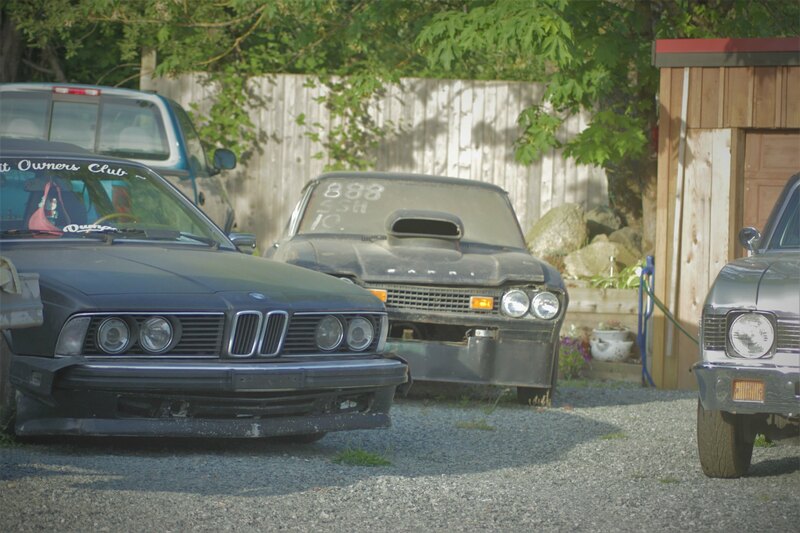 Also, the tabs for the e30 adjustment on the headlights have to be trimmed off. Had to hack nearly all of it but the brim (very tight squeeze) but still seems to adjust fine. Finished the other side, I think it turned out decent enough. Havent even been able to really use the pricks because I havent driven the car at night time yet. Been starting work really early lately and princess needs his beauty sleep. I couldn't tell ya if theyd fit or not. LEDs are generally longer aren't they? That's what you mean but hitting the shroud.. don't know. I would guess they work because people put HIDs in them and they aren't much bigger than those? Maybe Im interpreting you wrong. I have some HID's on the way, I wouldve ordered LEDs to test it out for you. Just get some H1 LEDs and give it a whirl. I didnt enlighten you by any way did I? Thanks for the answers, my car is stuck in my driveway as of now and will be done up in the coming months; it will take a while though. When I have the headlights off the car I can start tinkering.